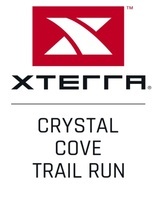 The XTERRA Crystal Cove Trail Run takes place in Crystal Cove State Park - El Moro which is located five miles south of Newport Beach and/or five miles north of Laguna Beach. The race features two distances - an introductory 5k trail run and a longer 15k trail run for the more experienced runner. This all takes place on fire roads and single track trails in the El Moro area of Crystal Cove State Park. Race field is limited, so enter early. All participants get a high-end XTERRA Crystal Cove soft cotton shirt, cool finisher medal, the chance to win age group awards, sponsor swag, and the satisfaction of completing one of the best races around! Don't forget your well-deserved hot breakfast with all the fixin's, and coffee too. Packet Pick Up (shirt/chip/bib) and Race Day Registration starts at 6:30 a.m. at the race site. YOU MUST BRING PROOF OF REGISTRATION TO PICK UP YOUR BIB! This includes: registration email, credit card statement or email confirmation from Generic Events. No Exceptions! If you’d like to volunteer or need more information, please contact us at 310.821.7898 or send an email to INFO@GENERICEVENTS.COM! 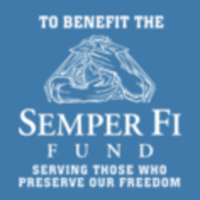 Please include which race you’d like to volunteer for in our email. We recommend that you arrive 1 hour before start of event to allow adequate time for parking, packet pickup and warmup.